FairPay is a new way to do value-based pricing -- in which prices are set based on the actual value realized by each individual consumer -- with a fair share of the value surplus going to the provider. Value-based pricing has proven transformative in B2B contexts. It is becoming accepted as best-practice, where feasible, even though this approach has been largely unknown in consumer markets. Now FairPay provides a lightweight way to exploit the economics of digital to achieve similarly transformative win-win results, in a way that is suitable for many mass-B2C businesses (especially for digital content/services). Before jumping into the details, let's be clear that these ideas go far beyond the narrow "green-eyeshade" confines of pricing that many managers tune out. Pricing is an often neglected aspect of strategy, given little attention or respect. But pricing can have huge impact on profitability, and value-based pricing has proven that it can transform fundamental business models and organization structures. It can drive design thinking in ways that improve customer relationships, disrupt competition, and reshape markets. As Peter Drucker said, "The greatest danger in times of turbulence is not the turbulence, it is to act with yesterday's logic." 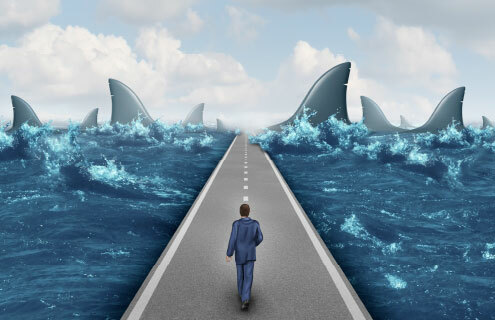 In these times of turbulence, pricing is too important to be left to the pricing specialists. The terms value-based, performance-based, outcomes-based, and success-based are often used for variations on the same basic idea. (I use the term value-based, for breadth and simplicity, since performance, outcomes, and success are aspects of value.) These all differ from more conventional cost-based (cost plus markup) and competition-based (what the market will bear) pricing orientations, which are widely used, but are more simplistic and generally less effective. My particular emphasis is on post-usage assessments of value, which are central to individualized, in-context experiences of value -- these are most important to quantifying the true value to a given customer (especially for experience goods). The term value-based pricing is also used for less collaborative, pre-usage pricing variants that are based on generic predictions of value. That is a step in the right direction, but generic predictions are just expected averages, and thus a poor approximation of post-usage measurements of value, as actually realized by any given customer. Value-based pricing seeks to approximate the ideal of perfect price discrimination, which captures maximum revenue from every customer (including many who would otherwise not actually become customers at all). 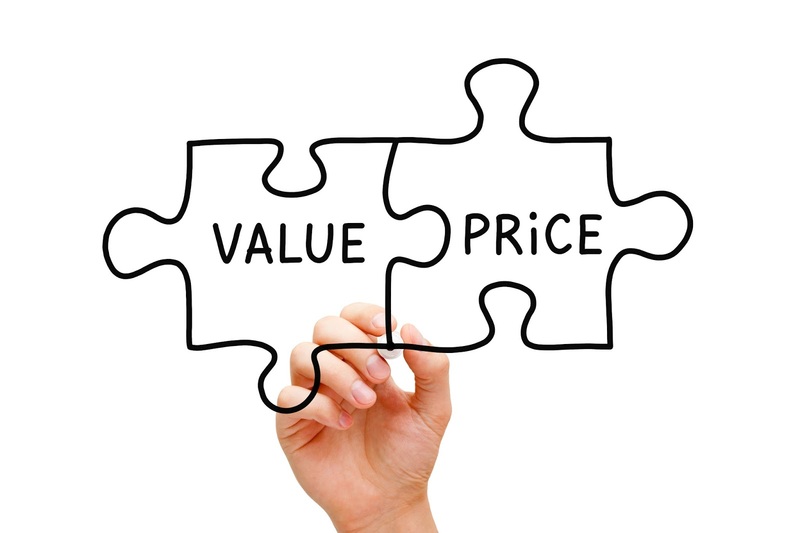 As currently applied, experiential value-based (post-) pricing has generally been impractical in consumer markets, but it has proven very effective and efficient for industrial items or services. For post-pricing based on value, the challenge has been that this requires 1) that the parties can agree on how to measure value as it is experienced in context, and how to share in the value surplus that the product/service creates, and 2) that they able to do the analysis that requires, after the performance and outcomes are known. While this had limited where value-based pricing has been applicable, it is widely accepted that digital transformation is rapidly expanding that applicability. The following sections address how FairPay simplifies this process to make a new kind of value-based pricing practical for consumer markets, but first, let's look at the evidence of why this is so important. There is broad consensus among pricing scholars, consultants, and practitioners that a pricing orientation based on customer value and customer willingness-to-pay is best and can positively influence pricing power and firm performance...More stories of successful transformation are being presented at pricing and business conferences. More firms are piloting value-based pricing with specific projects and technology platforms. One of the articles in that issue, The conceptualization of pricing schemes: From product-centric to customer-centric value approaches (by Stoppel and Roth), provides a conceptual structure and a survey of practice to show how this can "strengthen the relationship between customer and provider" and provide numerous mutual benefits. Not every industry or company can benefit from performance-based pricing. But where there is a fit, PBP can be a powerful tool that merges the interests of buyers and sellers, says Harvard Business School professor Benson Shapiro. Because pricing is such a difficult and complex arena, it has confounded sales and marketing executives and scholars for centuries. In no other marketing element is the two-sided conflict and cooperation nature of the buyer-seller relationship made so clear. Part of the relationship is a zero-sum game between buyer and seller in which one's gain is the other's loss. Pricing is at the center of this part. But, there is a second, win-win part of most buyer-seller relationships, including almost all business-to-business relationships. The win-win part often includes improved products and services that simultaneously provide greater customer value and higher supplier profitability. We constantly strive to move elements of the relationship from the zero-sum conflict side to the win-win cooperation side to achieve business success and relieve personal angst on both sides. We have searched for ways to move pricing into the win-win category. In some situations, performance-based pricing can make pricing a win-win element of the buyer/seller relationship. "insurance...when the final performance of the service or product is in doubt," creating "a greater sense of 'fairness' for both buyer and seller"
"the very process...develops 'wide-band width" communication between buyer and seller...a great deal of buyer/seller cooperation and coordination and literally a much broader agreement. The downsides cited by Shapiro are that it "is complicated...the amount to be paid can not be determined until after delivery, and often even after usage' and that this "moves both the cost and price risk to the seller," (and that "it is not good for sellers who desperately need short-term cash flow"). It is this complexity that has kept such approaches out of B2C markets until now. But Shapiro also observes that "the vendor then obtains the opportunity to better manage the spreads among value to the customer, price, and cost to its advantage. With risk comes added opportunity. The vendor who uses performance-based pricing must thus be willing to accept greater, two-sided (price and cost) risk for added reward opportunity." These are advantages that I have highlighted as the motivations for FairPay. This idea of opportunity coming out of risk is important, and is addressed further in the last section. Additional interesting background that reinforces these points is in the chapter "Pay if it Works" in Smart Pricing, by Raju and Zhang of the Wharton School, and a more recent HBR article. Shapiro's paper nicely points out the zero-sum versus win-win game aspects of buyer-seller relationships (as quoted above). FairPay is based on just such a view, working as a repeated game that seeks win-win cooperation over the course of each relationship. The details of that game are described in my post, FairPay Changes the "Game" of Commerce, and how it works in various industries is outlined throughout my blog. A conceptual perspective on why this is important and how the value surplus can be shared fairly is in my post, An Invisible Handshake for The Digital Wealth of Nations. Drawing on the conceptual model of Stoppel and Roth, pricing schemes have two key components: measurement units (that provide a basis for pricing), and calculation mechanisms (effectively the pricing rates that derive a monetary amount based on the units). These elements can be addressed in systematic ways in the large B2B contexts where value-based pricing has been successful, but are a challenge for B2C markets. The breakthrough of FairPay is to recognize that the individual relationships in B2C markets operate at a more subjective, intuitive, heuristic level, and that we can exploit computer-mediation to design the pricing game to operate at that same level. FairPay is not the same as traditional person-to-person negotiation, but both operate at a similar and appropriately subjective, intuitive, and human level. The choice of measurement units and pricing mechanisms can be flexible and dynamic, because cooperation is centered on fuzzy aggregate values where these details are merely reference points for justifying an approximate valuation that is intuitively agreeable. The business can accept some degree of transaction-level valuation errors (given the low marginal costs), as long as the overall trend of the relationship leads to fair and sustainable profit. It is this embrace of fuzziness and emergence that enables FairPay to find a solution that transcends rigorous computational models to cut through the dilemma of unlimited all you can eat (AYCE) models versus metered usage-based models, both of which are inefficient and have consumer acceptance issues. * By accepting pricing risk (which is actually very manageable for digital services), FairPay opens vast new opportunities to collaborate, build loyalty, and upsell -- to maximize Customer Lifetime Value (CLV). Expanding on the observations of Shapiro noted above, an article in the current issue of PWC Strategy+Business, The Uncertainty Advantage, notes that "Creative leaders don’t fear risk — they turn it into a money-making strategy." There is no better source of profit than your ability to first identify the opportunity hidden in disruptive forces and then use it to differentiate your company from its competitors. Post-pricing based on individual value is such an opportunity. FairPay recognizes that in a digital world, service providers risk little by taking on pricing risk, because their marginal cost of service is near zero. They can provide a big win for their customers -- by taking on the customer's risk of disappointment, at little risk to themselves -- and thus create a big win for themselves. FairPay can help us move from thinking narrowly about user experience (UX) and customer experience (CX) based on rigid, imposed pricing models, to the more central and win-win issue of value experience (VX). Notice that UX and CX consider the perspective of the user/consumer, but they do so with the the idea that the UX/CX is to be managed by the vendor (and with the vendor's unilateral price setting power). VX looks at this from the broader perspective that value is something that neither party owns or fully controls, but is something that both co-create and share in cooperatively. With this central focus on value experience, we can then find ways to cooperatively look beyond conventional notions of pricing, to change the nature of our business models, and make them more win-win. Which is more win-win way to think about pricing? Which gives your customers a truly "customer-first" experience of value? Which will make your business most sustainably profitable? Isn't it time to give it a serious try? *Note important distinctions between models based on actual usage, such as power by the hour and tires by the mile, versus those based on potential usage, such as the all you can eat (AYCE) subscriptions that are becoming dominant is content sales (news, music, TV/video), as described in the Deadweight Loss post. Actual usage is a form of post-pricing, and thus tracks moderately well to realized value, while AYCE access subscriptions are pre-priced, with no correlation to whether usage (and thus value) is high or low. At a next level of refinement, actual usage is still not an ideal metric of realized value, especially for experience goods. For jet engines and fleet tires, hours or miles (respectively) will usually correlate well with value, but for news stories or videos, the number of stories or number of programs (or minutes) may not correlate very well with realized value at all. That unforgiving "ticking meter" is why conventional usage-rate-based pricing of content (pay per view and micropayments) has remained unpopular with consumers. The "subscription economy" moves us closer to actual value than an ownership economy does, but the measurement of subscription value is the key challenge in making pricing truly value-based and win-win. That is why FairPay (with its fuzzy, value-based blend of AYCE and usage pricing) can make all the difference. The connection of every detail should be explained in argument. The lack of these skills I am supposed to afraid of completing these essays. So this will be great for me to meet my work done. try this for understanding the details of it. Truly, in our day by day life science is assuming critical job by including in the majority of our exercises in the general public. We use cell http://www.affordabletranslation.net/list-of-the-best-20-cheap-document-translation-services-online phones and TVs and very utilize other numerous gadgets in our normal life so it implies that science is assuming its job. valued pricing is done for the expansion of the products. All the issues have ben don for the movement of more details here are prescribed items for the individuals. It assured for the depiction of the entanglement of the items for the parents. From this site, you can use slides and videos about learning more important tips about the business. In this site, you read more article about the many topics related to business and social media. I learn from this how to have a need for the model from this check this site http://www.typingrates.com/top-10-online-typing-job-sites. for geting job on your favorite place. Excellent article information. A good long tail powerful lesson about Transforming B2B. This business concept should helpful for every business. Please navigate to this website to know about our audio typing services. Also in this blog I have got lots of valuable informative article. Thanks for sharing great blog.